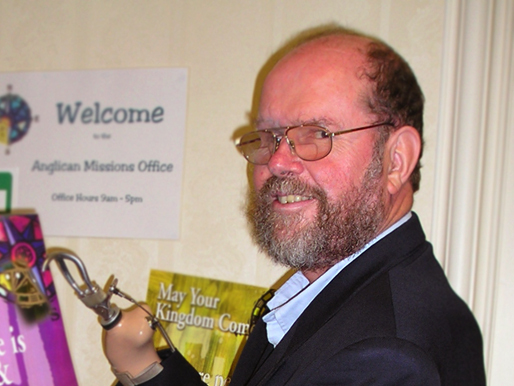 Father Michael Lapsley from the Institute for Healing of Memories spoke in NZ in August. He launched his new book and spoke about the work of the Institute. May I add my word of thanks to each of you for the role that you played in the launch of Redeeming the past: my journey from freedom fighter to healer. In a way bringing the book to New Zealand feels like "reporting back" to the people of the land of my birth of the life that I have lived since I left in 1967. I will greatly welcome any comments that each of you will have once you have digested the book. Thank you for your part in helping to popularise this modest contribution to healing of memories. "Last Friday's book launch turned out to be a very moving event. I felt it was one of those occasions that built a special atmosphere around it - one where people were sitting with the feeling that what is happening here tonight is of deep significance, both from the past as well as for the future. I felt a blend of history, justice, struggle and suffering, spirituality, healing and re-commitment for the future. The quality of the readings as well as of the spoken words all contributed to this atmosphere."